More wanderings on a beach. After the tide goes out. 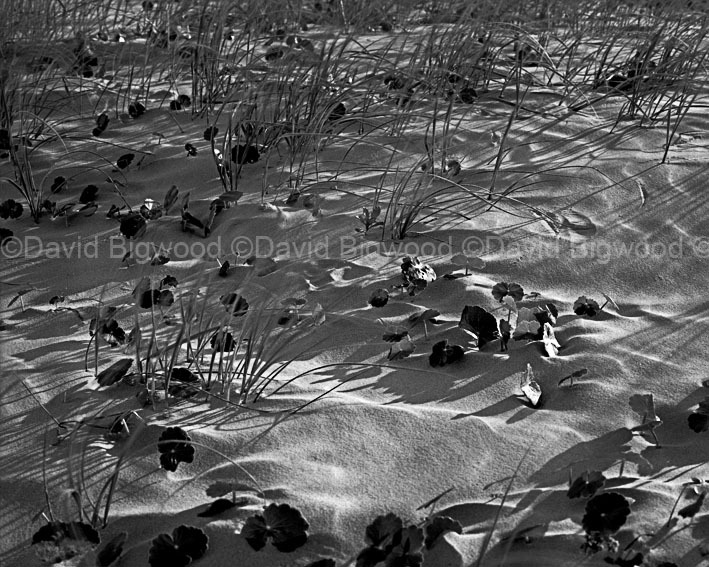 Plants colonising a sand dune. Beaches do provide many subjects for my camera. 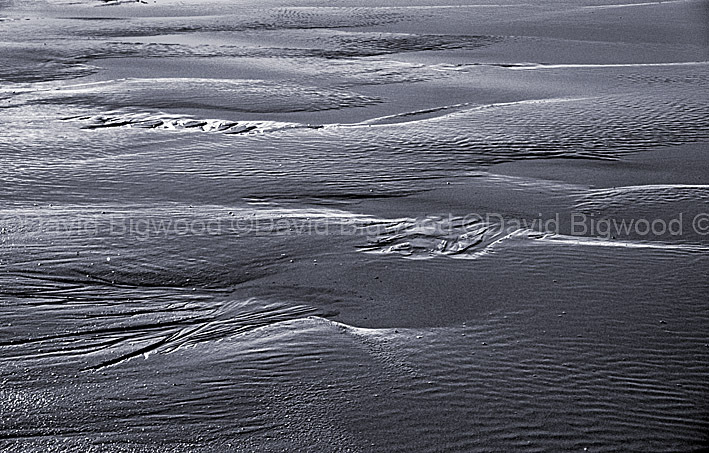 I love photographing the restless sea. Maybe the caption for this shot could be ‘Turmoil’. Message me using the form under the tab ‘Contact’ if you have queries. 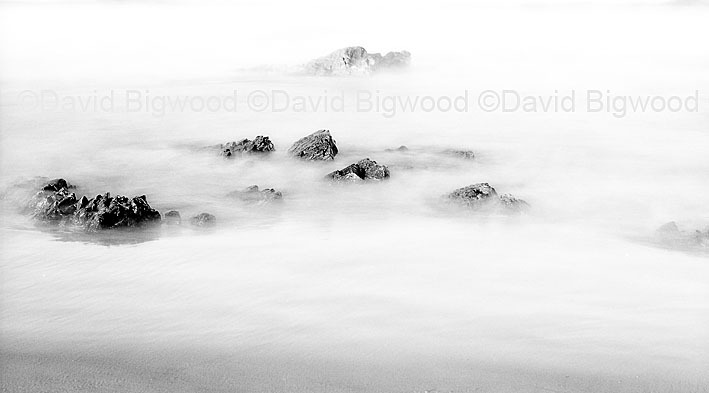 An ethereal shot created by using a slow shutter speed so that the moving sea is blurred but the stationary rocks remain sharp. 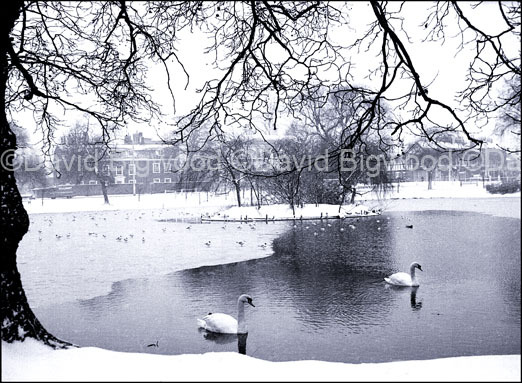 Available as a fine art print. Excuse me while I wallow in a little nostalgia. 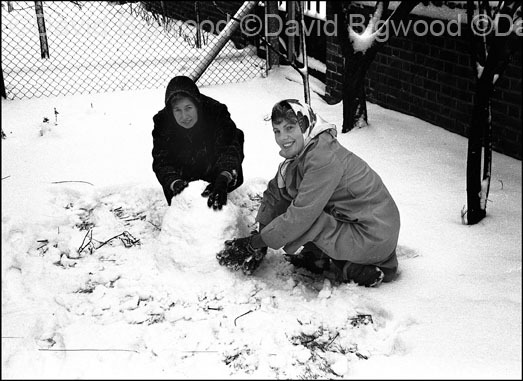 I may spend my Christmases in summer now but that was not always the case. Thank goodness for photography which helps keep memories alive and fresh. 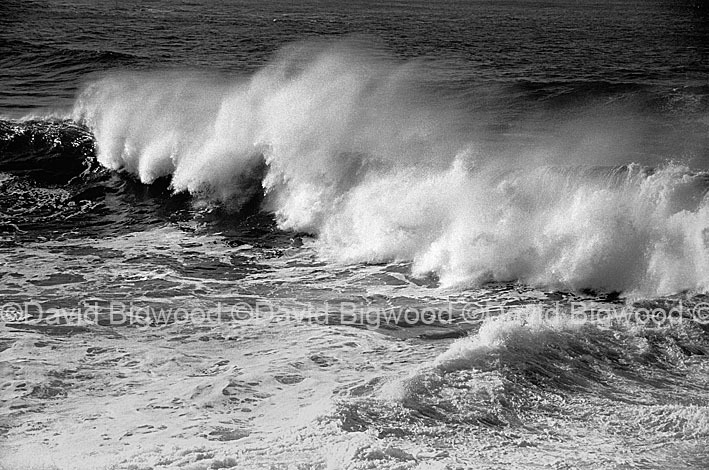 I have mentioned previously in this blog my love for black and white photography and recently I was asked to show some more of my monochrome images. 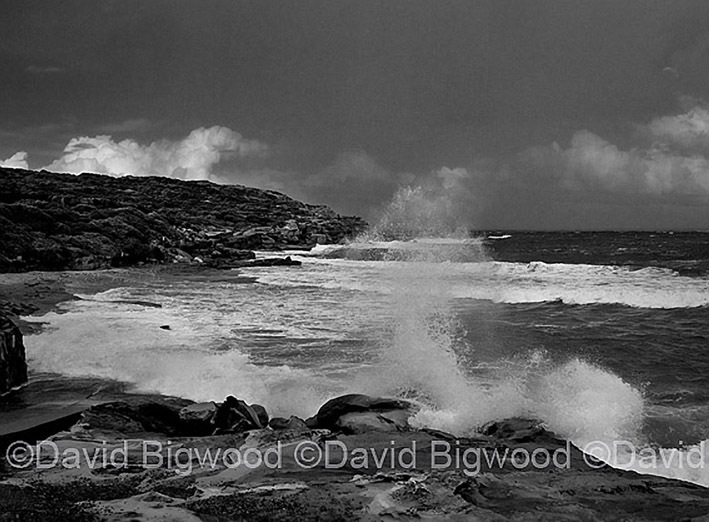 This picture was made during a very stormy afternoon at Long Bay in Malabar in Sydney. I shot it between heavy showers that had me running back and forward to my car for shelter. It is available as a print made using archival materials. To get details of print sizes and prices, e-mail info@bigwoodpublishing.com with “Details please” in subject line and country to be delivered to in body of e-mail. As a former keen monochrome worker, I miss my darkroom and the thrill of seeing a print appear in the developer and watching as it builds to its climax. And, I miss the simplicity of a black and white print. 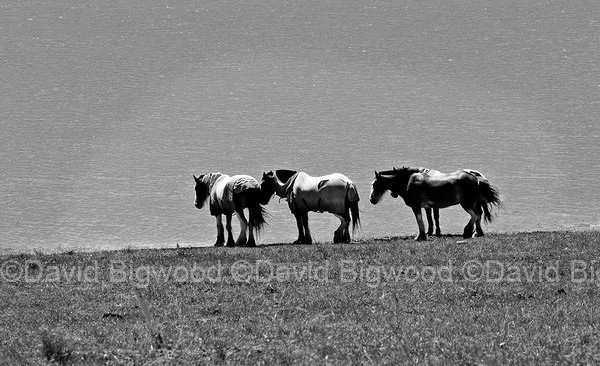 I know that I can shoot digital in black and white but I never seem to. As a freelance I have to capture the images that magazines want and 99 plus% want everything in glorious colour. So, as I no longer have a darkroom, the only way for me to satisfy my craving for black and white is to convert suitable colour images to monochrome using my trusty computer. As with so many things in Photoshop, there are a number of ways in which this conversion can be done. Grayscale Mode, De-saturate, Channel Mix, LAB Mode etcetera and at some stage I have used all of them. 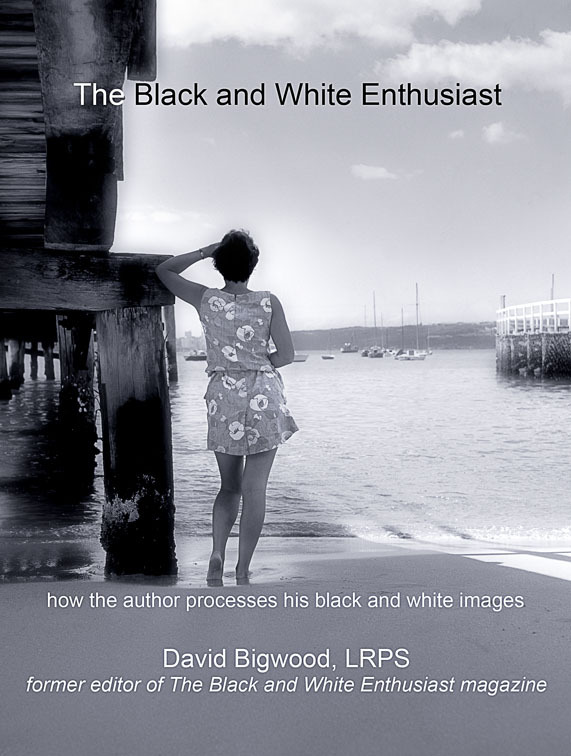 If you want to see what I have settled on, my e-book The Black and White Enthusiast sets it all out including the conversion of colour slides. My new e-book on black and white photography will be available at Amazon for Kindle in the next 24 hours. Colour film did not kill black and white photography nor has digital. We may live in a colourful world but many of the great images that grace walls both small and large are those devoid of colour. And, among the photographer fraternity there is still a large number of Black and White Enthusiasts. Some of those continue to shoot on film but there are many who are happy to have embraced the new technology and use it to produce their stunning black and white images. In my case, I am not concerned at how the image has been captured or even whether the print was made in the traditional darkroom or on a digital printer. To me, it is the final result that matters and my new e-book, The Black and White Enthusiast, is intended to show how, after many experiments, I have chosen to produce my prints in this digital age. My way is not the only way but it is one that works for me and, maybe, it will work for you.